It’s been said the most frustrating of the Beatles’ studio albums is also the most frustrating when comparing mixes. The sheer volume and diversity of the music means that it will vary from song to song as to which version is better. “Dear Prudence” and “Happiness is a Warm Gun” sound absolutely perfect in mono, but the acoustic guitar in the background has much more impact on the stereo mix. The mono mix also features a version of “Helter Skelter” that is a minute shorter and far more cluttered than the stereo mix. But there are enough positives for each mix that it’s worth keeping both around. 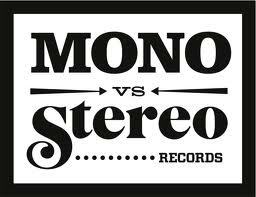 The White Album is literally a toss up when it comes to mono vs stereo. This is the album that every fan should own both versions of – because literally, some songs sound better on mono, some sound better on stereo. For instance, I noticed on “The Continuing Story Of Bungalow Bill” the bass is a little too loud, and the guitar bits are more muffled on the mono version. On the flip side tho, the vocals sound much better. So a bit of a trade off. “Happiness Is A Warm Gun” always sounded strange on the stereo mix to me. Especially if you have headphones on. The mono delivers a much better sounding version of the song, and this is a good example of why you need to own both versions. So to sum up it up: there are moments when the mono version is clearly better – where the drums smack with ferocity and the vocals sound beautiful. But on the same note, there are also times where the stereo mix breathes better – especially on “Helter Sketer”. The airplane overdubs occur in different places on the mono and stereo versions. The Mono version has louder piano, a yell after the opening plane sound, and drumbeats under the closing plane sound. The Stereo version has extra guitar chords at the start of the solo, and shouts and piano during the guitar solo. Stereo version has slightly more treble and fades to a lower volume at the end. The edit adds the end orchestral piece. Stereo [a] is lacking Paul’s added vocal “oh yeah” at the end of the break. Mono mix [c] has various sound effects, of which only the whistle after “fool on the hill” was used in the standard mix. The stereo version has hand-clapping during the intro, the mono version does not. On the mono mix, Paul’s vocals are not double-tracked as they sound to be on the stereo mix which gives the allusion of two or more Pauls singing at once. The stereo version has some vocal sounds from George at the end, the mono version does not. The Clapton guitar remains loud in mono version after the solo break, not in the Stereo version. Near the end of the fadeout only the stereo [b] has “yeah yeah yeah”, even though it is a few second shorter than [a]. The pig sound effects are quite different between the stereo and the mono release. The guitar is louder in the mono version. The mono version is much faster than the stereo, and therefore is shorter. The violin sounds at the end are markedly different. Mono [a] runs faster, and it has more fiddle throughout the song, and different fiddle at the end. The fiddle at the end of stereo [b] seems to a repeat of a bit of the chorus. The edit added the intro. Stereo [c] has only work from 5 and 6 June without the fiddle or intro added in July. It’s at the speed of the stereo mix [b]. The stereo version has a fade-out/fade-in dummy ending with Ringo’s shout of “I’ve got blisters on my fingers”, the mono version does not ! … this makes the stereo version almost a minute longer. The basic song runs about 3:10 to a pause shortly after Paul’s distorted vocal, too close to the microphone. The Mono version then is edited into more of the same take, with sound effects noises, and fades at 3:36. Stereo version is edited instead to a different part of the take, fading out and then back in again, with another edit, ending finally at 4:29 after Ringo shouts “I’ve got blisters on my fingers!”. Is the distorted vocal “Can you hear me speaking– woo!” or “My baby is sleeping, ooh!, dreaming”? The stereo version is fine, but on the mono, George’s double-tracked vocal is embarrassingly out of synch. The screaming after “come on” in the last verse is different in the Stereo and Mono versions. The song was deliberately distorted during recording and mixing, so since the mono version sounds more distorted and compressed, it’s better! John’s guitar also sounds louder in mono version. The 2d generation tape is an edit of two takes, each of the two tapes being itself a mixdown from the original 4-track. The edit causes an abrupt transition at the end of the guitar solos. In stereo, traces of other vocal and guitar parts can be heard throughout the song in the left channel, including something shouted over parts of the vocal and what sounds like another different guitar solo. After the edit, the trace lead vocal suggests we are hearing the first part of the song from the other take. The edit in the mixes added the countdown intro, which is louder in mono. The Mono version is 11 seconds longer, long fade. This started as 4 track and was copied to 8 track, so it’s 2d generation. The “bass” (vocal) starts later in mono [a], after the first verse. The stereo version has more prominent bongos. The last “daaaance” starts twice, maybe a double-track error or a leak from a guide vocal, as heard on stereo [b], but covered up by other sound in Mono version. The stereo version has extra vocals at the end of the second chorus. Mono [a] has the full lead guitar break, slightly shortened in the Stereo Version. Mono [a] has sound effects during the instrumental break, and the lead guitar continues through the break into the refrain after it. The organ is missing from the last verse in the Mono Version. Verdict: Toss Up! (This is the definitive album where listeners should own both the mono and the stereo version of it. Some songs sound better on mono and vice versa). Conclusion: Chances are that you are wondering what box set is “right for you”. The mono box set entices you because purists will always say that mono “is how the Beatles always intended” them to be heard. Then there is the fact that the mono box set is “limited”. However, we found that the Stereo far outperformed the Mono versions. There were only a couple albums that we could see ourselves arguing as being definitively better on mono. Taking all that into consideration, it’s hard to justify paying $40-60 more for a box set that not only has less content (it doesn’t include Abbey Road, Let It Be, Yellow Submarine, or the DVD documentaries), but overall doesn’t sound as good as the Stereo versions. It is true that mono was originally how most of these album were recorded. But they never sounded better then they do now with the Stereo remasters that will have you listening to the Beatles like you have never before. There are many differences between the Stereo and Mono versions of The White Album. (The Mono mix of the White Album was only available in Great Britain, it was never released in mono in the US.) The mono version of the song Ob-La-Di, Ob-La-Da is missing the hand clapping that can be heard in all other mixes of the song. Why Don’t We Do It In The Road?, like the Mono version of Ob-La-Di, Ob-La-Da is missing the hand clapping at the beginning of the song. What’s a Variation, and Why Do We Care? One part of being a music fan is playing favorite recordings over and over. Like many people, I’ve found that I have memorized many small nuances of the performance on record. Sometimes, when listening to an old song on a new disk, I’ll detect a difference in what is otherwise a very familiar recording. There may be a voice or instrument in one version that is not in the other, for example. This is a variation. Just when people started noticing Beatles variations is lost in the mists of time, but by the end of the Beatles’ recording career as a group in 1970, lists of variations had become a perennial topic among some fans. The variations open the door a little bit into how the recordings were made and prepared for release. The differences tell us something about how the sound was fixed on tape and what the engineers did to make records out of them. At least, they tell us something if we care to ask how the variations happened. Hasn’t this “been done”? Well you may ask. Beatles Variations Lists have certainly appeared before. One reason to compile a list is simply to collate all the previous work on this topic. When it was suggested I put together something about variations, though, I was dissatisfied at simply rehashing old lists. Aside from the copyright violations (not that it’s stopped writers of some of the books I’ve seen while researching this) it did seem a little boring as well. Nearly all of them are just lists. There are two reasons I’ve done this. Firstly- Collating existing lists does not result in a good list. I found by listening that many of the variations were not well described. Although I decided to be nice and not make this a catalog of the failings of other sources, a few instances are so wildly wrong that I did mention them. There were times when I wondered whether the writers had even heard the record they were describing. The amount of mindless copying from one print source to another has to be seen to be believed. I found that I had to go listen for myself, and quiz people closely to be sure they heard what they said they did on rare disks I couldn’t get hold of. Secondly- I wanted to understand why they vary. The only list that relates variations to what we know about the recording sessions is a series of articles by Steve Shorten in “The 910”, which was unfortunately limited by space to highlights. As Steve noted in his first article, the publication of Mark Lewisohn’s book “The Beatles Recording Sessions” in 1988 provided an important framework on which to base an improved listing of variations. For the first time, we had specific information about dates of recording (some of which had been known) and of mixing (none of which had been known, I think). This made it possible to look for variations based on how many times a song was mixed at EMI Abbey Road, instead of the hopeless method of listening to every record released in the world. Not only is “The Beatles Recording Sessions” a goldmine of information, but Lewisohn lacked the space or inclination to apply his data to the problem of variations. He even calls some mixes unused based on nonappearance in England. Tom Bowers and I did some work on finding those in 1991, reported in the Usenet group rec.music.beatles. It became clear that most of the mixes had been used somewhere, and they accounted for some of the variations that had been spotted previously. Mark’s excellent work also provides enough information to figure out just how the variants arose. Some of them, especially the earlier ones recorded in 2-track, are editing differences, while others are differences in how the multi-track master tapes were mixed down for record. Let me emphasize that, with just a very few exceptions, the mono version of a Beatles song is not the stereo version combined into one channel. On the contrary, George Martin mixed for mono first in almost all cases and then did a stereo mix separately. Right here we have a reason for variations, since the same edits and mixing had to be done twice. In some cases there are two or more mono or stereo mixes, providing yet more chances for variations. The mixes were supposed to sound the same, usually. However, his practice of making separate mono and stereo mixes shows that George Martin did care about how the record would sound in both finished forms, and he may have deliberately mixed some songs differently. Other times, small things are fixed in one mix and overlooked in another, or difficult editing may be done a little better in one of the attempts. George Martin and staff weren’t perfect. That they had problems mixing songs the way they wanted makes the recording process seem a little less mechanical to me. Obviously the mono and stereo mixes of any song are different. One is mono and one is stereo! Besides that, careful comparison of the mono mix to the stereo mix played as mono would doubtless turn up some differences in emphasis. But what we’re really after here in a variations list is larger game: different edits, sound mixed out in one version, different stereo images, and so on– things that are really noticeable. Well, maybe I stretch the limits on “really noticeable” at times. Forget the ones that seem trivial to you. Aside from the dubious contribution of Capitol Records USA, I’m not, mostly, listing atrocities performed outside EMI Abbey Road. They’re not genuine, just stupid mistakes mastering records– speed problems, premature fadeouts, defects in tapes, even editing– and the ever-popular mock stereo. Nobody around the Beatles authorized them. Even Capitol is included just out of parochial interest to me and to the large contingent of fans in the USA– although I could argue Capitol’s work is of more than local interest since some other affiliates such as Odeon (Germany) got masters from Capitol. Capitol certainly doesn’t begin and end the tampering stories– there’s that “Penny Lane” from Brazil with a line edited out for no known reason, a “Devil in her Heart” from Mexico with the very end faded off… but I digress. If you live outside the USA, I invite you to catalog your own country’s label’s lack of judgement. For most of The Beatles career mono was the standard and the stereo mix was something that was done as an afterthought. The band (and the producers and engineers) worked to get the mono mix just perfect and then would throw together the stereo mix rather quickly, sometimes in a very experimental fashion (as stereo was still very new, people were trying things out to see what worked.) But by 1968 mono was getting phased out and The White Album was The Beatles final album mixed in mono. Their last three albums (Yellow Submarine, Abbey Road, and Let It Be) were mixed and released only in stereo. In the U.S. mono had already been phased out and so only the stereo mix of the The White Album was released in the U.S. while in the U.K. both the mono and stereo versions were released. On 09/09/09 (a cool reference to “Revolution #9”) the original mono mixes of The Beatles first 10 studio albums (through The White Album) were released on mono on CD for the first time. The White Album is the only one of those 10 albums that was never released in mono on vinyl in the U.S. so it was really the first release of this mix in the U.S. ever (on any format.) For those of us who think this is the greatest album of all time (and I think there’s quite a few of us!) it was very exciting to finally get to hear this mix. The White Album in mono is not available for individual purchase, instead, it was included as one of the 10 Beatles albums (all with original mono mixes) in the Beatles Mono Box Set released on 9 September 2009.